Actually, it was yesterday about the celebration of the 90th anniversary of the discovery of Tutankhamun's tomb (KV62) in the Valley of the Kings. 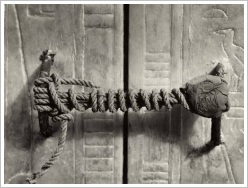 In fact, the very first discovery happened already on November 4th, 1922 when Howard Carter found the upper steps leading to the tomb but his financier Lord Carnarvon arrived on November 23, 1922 and the work could continue. On the occasion of this ceremony the Tomb of Merenptah (KV8) which has been under restoration for years has been re-opened with the newly restored sarcophagus on display. Merenptah was a son of Ramses II and the fourth ruler of the 19th Dynasty. 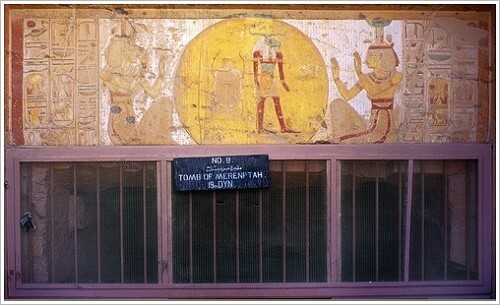 His tomb is about 165 metres long and contains several unique elements like a relief of the Sun God Re above the entrance. Inspite of multiple torrents at the Valley of the Kings its decorations rank among the best in the valley. The sarcophagus is now placed in a way that the bottom of the lid can be seen. Yesterday, Antiquities Minister Mohammed Ibrahim announced the discovery of a black granite statue at the Temple of Armant by French archaeologists. 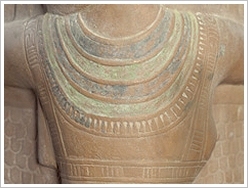 The statue is about 125 cm tall and depicts an until now unidentified king. 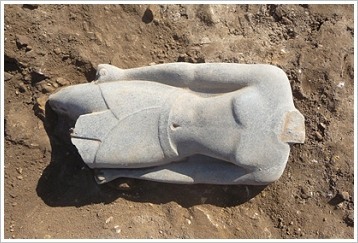 Christophe Thiers (CFEETK), the head of the mission, said that it probably dates back to the New Kingdom. Head and legs are missing. 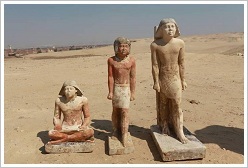 However, the archaeologists hope to find them and additional statues during further excavations at the temple area in order to enable them to identify the pharaoh. For a change news regarding sports: the Cairo football club al-Ahly won today on second leg in Tunisia the CAF Champions League, the most important African club football competition and equivalent to the UEFA Champions League. That was Ahly's seventh winning final (1982, 1987, 2001, 2005, 2006, 2008, and now 2012) of the CAF Champions League. Furthermore, in 2002, 2006, 2007, 2009 and 2011 the Ahly team with football icon Mohammed Abu Treika (midfielder) won the CAF Super Cup. Today, on 15th of November 2012 the year 1434 of the Islamic calendar also called Hijri calendar begins. 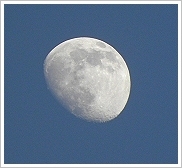 It is a lunar calendar. Each month has either 29 or 30 days, so the Islamic year is about 11 days shorter than a solar year. 33 lunar years are the equivalent of 32 solar years. New Year's Day isn't an official islamic holiday but a cultural event. 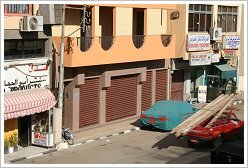 Yesterday, Prime Minister Hisham Qandil announced the new government decision concerning closing times in Egypt. 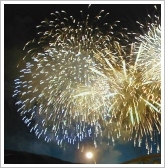 According to this with effect from 1 December 2012, shops have to close at midnight and restaurants at 2 a.m., meaning the originally planned times (see our news from 18/10/12) will be extended by two hours. In order to save electricity anyhow, shops will have to switch off outer lighting two hours before they close. 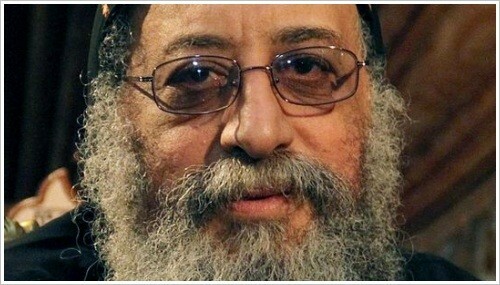 Today, seven and a half month months after Pope Shenouda III's death and a very long and highly complex selection process (see our news from 28/04/12), the new spiritual leader of the Egyptian Coptic Christians has been elected : Egypt’s 118th Coptic Pope is Bishop Tawadros. Today, as a judgement of God, a blindfolded boy choosed the paper with his name during the altar lottery at St Mark's Cathedral in Abbasiya, Cairo. On Monday, 29 October five candidates entered the penultimate stage of the papal election, when the approximately 2,500 electors chose three finalists. Their names were written on large papers. 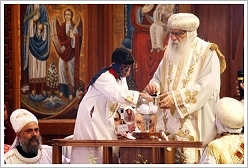 Each paper was then tied and placed in a crystal chalice, which was sealed with red wax and tied with white ribbons. Bishop Tawadros, who is also celebrating his 60th birthday today, will be officially ordained as a pope on the 18th of November and then bear the name Tawadros II. Before he became a monk at the desert monastery Deir Anba Bischoi he graduated from Alexandria University’s Faculty of Pharmaceutics. 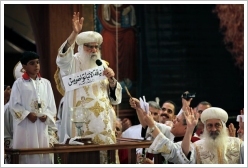 Since 1997 he held the office of the archbishop of Beheira Governorate in the Nile Delta. He is said to be open-minded and dovish. Today, not only the 118th Coptic Pope will be elected, today is also the 90th anniversary of the discovery of Tutankhamun's tomb by Howard Carter. On 4th November 1922, he found the steps leading to the entrance of the Pharaoh's famous tomb in the Valley of the Kings on Luxor's west bank. The tomb contained 5.398 objects, the most popular is the golden mask of King Tutankhamun's mummy. While the mummy still rests in his sarcophagus in the tomb 3.500 found pieces were brought to the Egyptian Museum in Cairo. To cebebrate the anniversary the Spanish company Factum Arte sent a facsimile of the burial chamber, which has been produced over the last three years with a lot of technological equipment (see our news from 21/01/11), to Cairo. It arrived today and will be included in the EU Task Force Conference on Tourism and Flexible Investment that takes place on 13th and 14th November. The replica is a gift to Egypt from Factum Arte, the Society for the Friends of the Royal Tombs of Egypt, the Factum Foundation for Digital Technology in Conservation, and the University of Basel. Before April 2013, it is intended to move the facsimile from Cairo to a prepared location behind the Carter House (so-called Replica Valley) where it will be permanently installed for public view. It will then be officially gifted to the Arab Republic of Egypt. 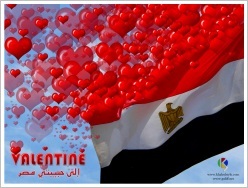 Egypt celebrates its own version of the Valentine's day today - which boosts sales additionally to the international Valentine's day on 14th of February. And which kind of presents does one give each other? Red roses, preferably locally-grown from 5 LE to 50 LE and teddy bears ("dabadeeb") ranging from 20 LE to 500 LE (depending on size and cloth quality). Including boxed chocolates and cotton-made hearts sales reached about 60 million LE in 2010. That's 7,665,000 EUR - unbelievable, isn't it?! On Friday, Antiquities Minister Mohammed Ibrahim announced the discovery of a princess's tomb dating back to the 5th Dynasty (about 2500 BC). 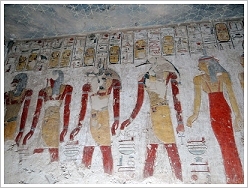 A team of Czech Egyptologists found the courtyard of the tomb during recent excavations at Abusir, an ancient Egyptian necropolis south of Giza. The four limestone pillars of the courtyard are inscribed with hieroglyphs giving the princess's name Shert Nebty and her titles. The discovery is special because until now just non-royal funerals have been found in the southern part of the cemetery. 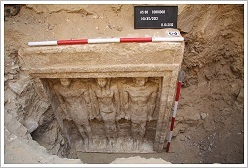 The Czech mission also discovered a corridor, which leads off from the courtyard to the east, where 4 other tombs of high-ranking officials from the 5th Dynasty are located. 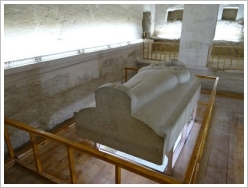 Between the tombs' entrances, 4 huge limestone sarcophagi were found containing several statues. 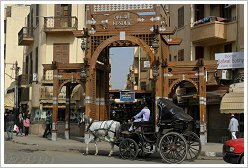 Shops and Restaurants in Egypt Remain Open at Night! Starting November 3, the law for new closing times should have come into effect (see our news from 18/10/12). However, unsurprisingly the decision to close shops by 10 pm and restaurants by midnight has been postponed indefinitely. 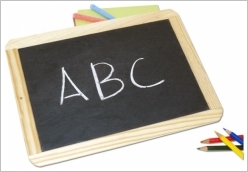 Effective November 2012, the Internationale Deutsche Schule (IDS) Luxor offers language courses for adults. The courses in German language are held by trained, experienced and professional teachers in their mother tongue and follow the teaching system of the Goethe-Institute. The next course "A 1" begins on Thursday, November 8th 2012 at 7 pm. It's composed of 30 hours (15 units with 2 hours each on Mondays and Thursdays from 7 to 9 pm) and costs 1,200 LE. On 10 October 2012 a ceremony to celebrate the first day of issue of the Christmas stamp 2012 took place at the Washington National Cathedral of the Episcopal Church. The portrayal of the Holy Family's flight into Egypt (see the image leftmost) is a change from the traditional image of Madonna and child used in America almost every year since the first Christmas stamp was issued in 1962. The flight into Egypt is a biblical event described in the Gospel of St. Matthew (Matthew 2:13-15). Joseph was asked by an angel to flee into Egypt with his wife Mary and infant son Jesus because King Herod intends to kill the infants of that area. However, in the past the subject of the flight into Egypt was used by other countries: in Panama 1969, in Hungary and Anguilla 1972, in Australia 1974, in Spain, in Cyprus and Gabon 1977, in Guernsey 1979, in Poland 1980, in Brasilia 1984, in Australia 2001 and in Ireland quite regularly: 1988, 1993, 1994 and 2011. Apropos flight: If you would like to escape the cold and wet winter weather in your country - how about a Christmas flight to Luxor! ?